Picture yourself as a 17-year-old. Were you rapping alongside Ghostface Killah and Pouya? Probably not. Well, this was the reality for Brian Imanuel. 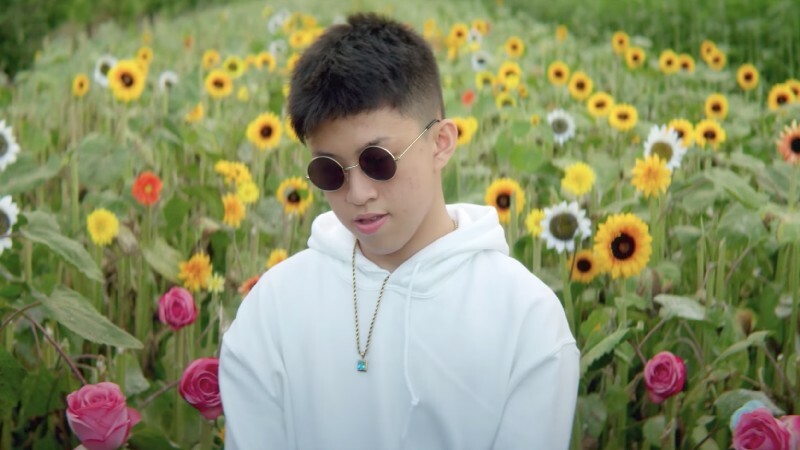 Brian Imanuel, better known by his stage name Rich Chigga, is a now 18-year-old rapper, comedian, and overall internet sensation. Born and raised in Jakarta, Indonesia, Rich Chigga learned English through his love of hip hop and scrolling through the internet. Rich Chigga has your stereotypical overnight internet sensation story. He wrote his hit “Dat $tick” and entered the studio and made a music video. At first, he thought he was going to be serious about it. But then he decided to dress in ‘dad’ clothes, consisting of a pink polo and fanny pack. He thinks this decision is what led him to internet stardom. After the video was released, Rich Chigga was contacted by Sean Miyashiro of 88rising and head of CXSHNLY Records. He put together a compilation of “Dat $tick” reactions from famous rappers. This compilation drew the interest from the legendary Ghostface Killah and Miami underground rapper Pouya. In a year’s time, Rich Chigga gained hundreds of thousands of fans, collaborated with some of the most prestigious rappers in the game, and now he’s touring all over the world. Rich Chigga was finally able to make it to the United States in April of 2017. This is significant because Rich Chigga mentioned his U.S. work visa was denied twice last year. Rich Chigga also headlined the “Come to My Party” tour in October of 2017. His tour has received so much success, several dates ended up selling out. Even though Rich Chigga is only a rising artist, he’s already attracting a devoted following. Attendees at the Tampa, Florida show were seen sporting Rich Chigga fanny packs and other pieces of merchandise. While you couldn’t hear the performance, Rich Chigga looked like he was full of energy and the crowd reacted well. The Orpheum sure was lit that night. Some fans have reported having a ‘connection’ with Rich Chigga, while others claimed their life was better before they started listening to Rich Chigga, and others made weird hip-thrusting movements when Rich Chigga was mentioned. Regardless of how bizarre fans get when Rich Chigga is mentioned, his legacy truly is amazing. Rich Chigga is able to influence a fan base from halfway across the world. After ‘Dat $tick’ was released, he got an offer to collaborate with Ghostface Killah and Miami rapper Pouya. Rich Chigga also released the singles “Who That Be,” “Seventeen,” “Gospel,” and “Glow Like Dat.” He won “Breakthrough Artist of the Year” at the 4th Annual Indonesian Music Awards. And Rich Chigga will only grow from here. An innovative rapper such as him can only move up in the hip hop pedestal. Alongside touring, Rich Chigga is spending his time in Los Angeles working on his debut album. The 11th video in the “Who Listens to” series features the Indonesian rapper’s crazy fans. They talk about their love for Rich Chigga’s music, hate on other rappers and the haters, and what fans would bang him. Selling Money in the Caribbean | FAST CASH! Does Anyone Listen To: Cradle of Filth?